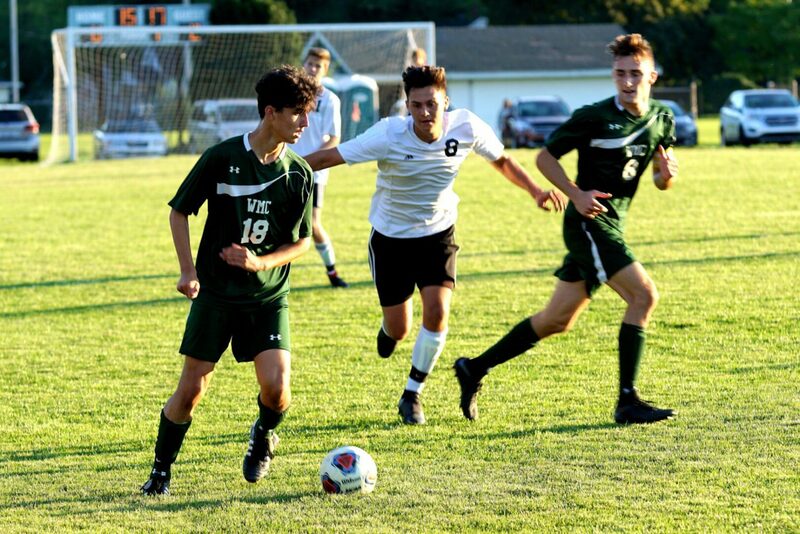 NORTON SHORES – The players and coaches on the Ludington soccer team know that the road to a Lakes 8 Conference championship goes through Western Michigan Christian. On Tuesday, the Orioles got a chance to see how they matched up with the host Warriors, and were thrilled with the results. Ludington netted two first-half goals and held off a strong second half attack from WMC to come away with an exciting 2-1 Lakes 8 victory. The Orioles are now 10-1 on the season and 2-0 in the conference. “After what happened last year, when we played them close at home, then we came down here with a chance to win a share of the (Lakes 8) title and we played awful, it was important for us to get the lead, get that confidence, and belief that, yeah, we are good and we can play with this team,” said Ludington Coach Kris Anderson. Ludington took a 1-0 lead 14:18 into the first half when Brayden Porter’s throw-in got loose in front of the Warrior goal, and John Biggs controlled it and knocked it into the net. The Orioles kept the pressure on and the ball deep in WMC’s end of the field, and it eventually paid off again. Ludington’s Will Flewelling sent a corner kick to Sam Bandstra near midfield, and Bandstra sent the ball right back to Flewelling. Then Flewelling sent a centering pass to Porter, who headed it in for a 2-0 lead with 19:23 left in the half. 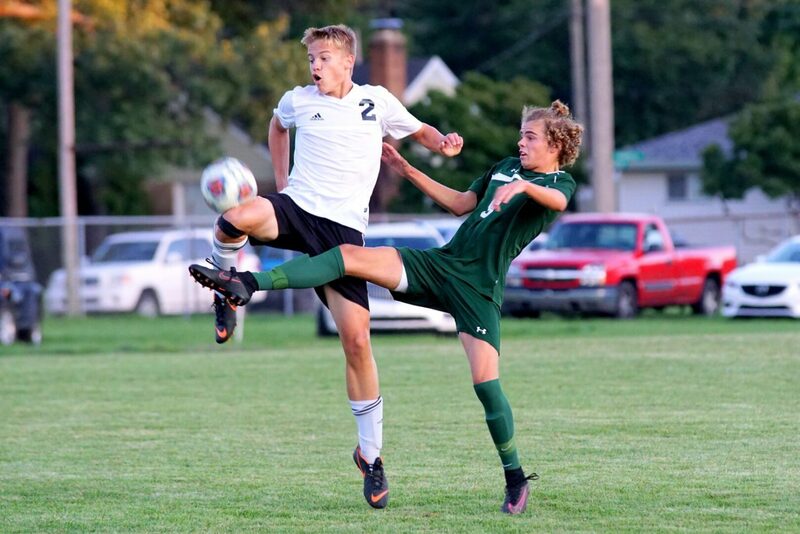 The Warriors, who outshot Ludington 5-4 in the first half, finally found a spark on offense when Charlie Alfree’s header with 15:49 remaining seemed headed for the net, until Orioles’ goalie Maxime Grenier dove to his left and knocked it away. 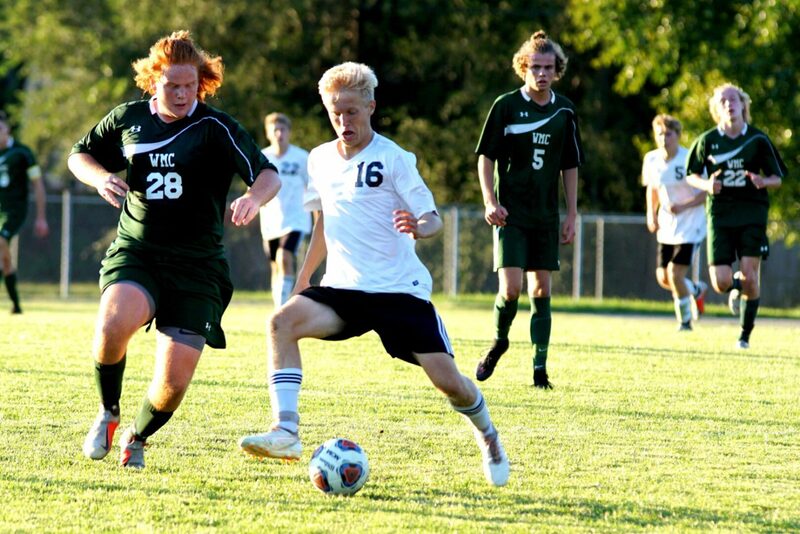 WMC came out much more aggressive in the second half, and finally got on the board with 18:26 remaining in the game, when Hayden Hubers found the net the narrow the score to 2-1. With 7:30 left in the game, Alfree looked to tie the game by sending another header on net, only to have Greiner dive to his right and snag it for the save. The Orioles held on for the win after that. Grenier finished with 12 saves for the Orioles, while Jameson Goorman had six saves in goal for the Warriors. Western Michigan Christian, which fell to 4-1-2 overall and 1-1 in conference play, outshot Ludington 13-8.